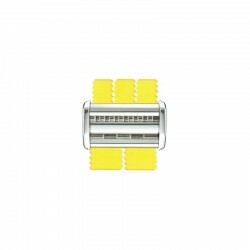 ACCESSORIES AND COMPLEMENTS There are 53 products. 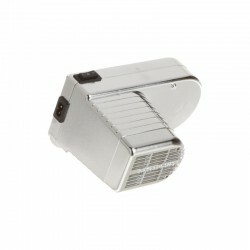 Stendipasta is practical, sturdy and solves all problems of space. 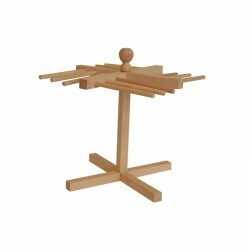 On this pasta drying rack you can hang over 1 kg of pasta and it is a natural product made of evaporated beechwood. 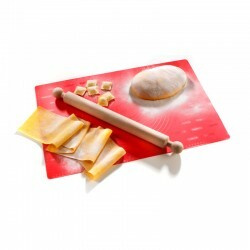 Easy to use, ideal for making top quality ravioli, with genuine home-made fillings. Available in two versions: 5x5 and 3x3 cm ravioli. Accessory for Imperia pasta machine that allows you to make tagliatelle with a thickness of 2 mm and fettuccine of 6,5 mm. Accessory for Imperia pasta machine that allows you to make pappardelle with a thickness of 32 mm. 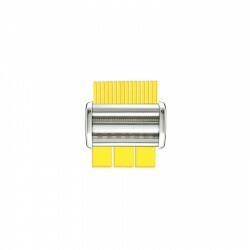 Accessory for Imperia pasta machine that allows you to make lasagnette with a thickness of 12 mm and capelli d'angelo of 1,5 mm. 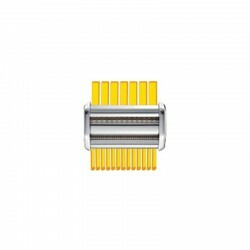 Accessory for Imperia pasta machine that allows you to make capelli d´angelo with a thickness of 0,8 mm. 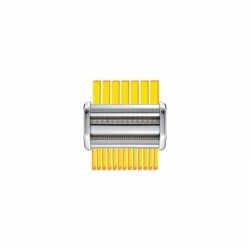 Accessory for Imperia pasta machine that allows you to make trenette with a thickness of 4 mm and spaghetti of Ø2 mm. Accessory for Imperia pasta machine that allows you to make reginette with a thickness of 12 mm. Accessory for Imperia pasta machine that allows you to make lasagnette with a thickness of 12 mm. 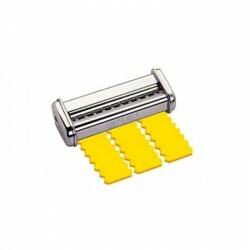 Accessory for Imperia pasta machine that allows you to make fettuccine with a thickness of 6,5 mm. Accessory for Imperia pasta machine that allows you to make spaghetti with a thickness of Ø2 mm. 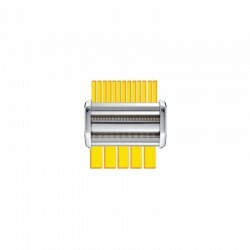 Accessory for Imperia pasta machine that allows you to make capelli d´angelo with a thickness of 1,5 mm. 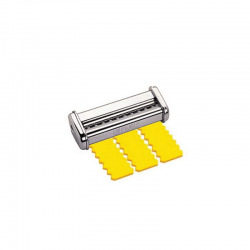 Accessory for Imperia pasta machine that allows you to make lasagne with a thickness of 4 mm and spaghetti of Ø2 mm. 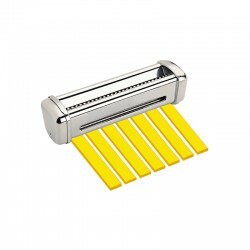 Accessory for Imperia pasta machine that allows you to make tagliatelli with a thickness of 2 mm. 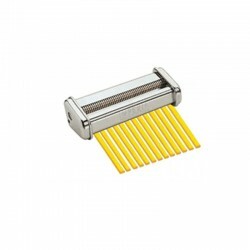 Accessory for Titania pasta machine that allows you to make spaghetti with a thickness of Ø2 mm. 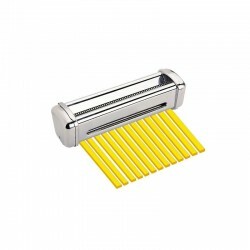 Accessory for Titania pasta machine that allows you to make reginette with a thickness of 12 mm. 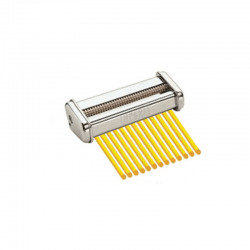 Accessory for Imperia pasta machine that allows you to make lasagne with a thickness of 12 mm and trenette of 4mm. 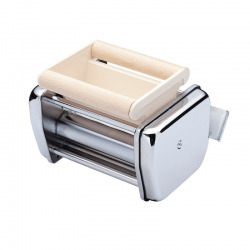 Accessory for Imperia Restaurant pasta machine that allows you to make trenette with a thickness of 4 mm.